Between 2009 and 2010, roughly one in five people drank a diet drink on any given day, according to the Centers for Disease Control and Prevention (CDC). That’s a lot of people with good intentions; after all, if it’s labeled “diet” it must be healthier than its alternative made with some version of sugar. But a growing body of evidence is starting to suggest diet drinks may be just as bad for our health, if not worse. 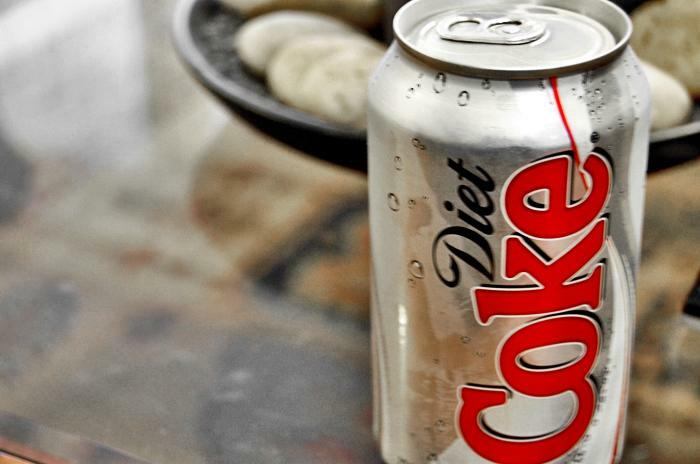 One of the latest studies, published in the Journal of the American Geriatrics Society, finds that drinking diet soda may raise seniors’ risks of obesity and its related diseases. Conducted by researchers at the University of Texas Health Science Center in San Antonio, Texas, the nearly 10-year study found that diet soda drinkers’ waist circumferences grew nearly three times as much as those who didn’t drink diet soda. The findings hold implications for these adults’ future health, as having a large waist circumference can be an indicator of metabolic syndrome — a cluster of conditions such as high blood pressure, abnormal cholesterol levels, and high blood-glucose level — which puts them at risk for heart disease. It’s believed that artificial sweeteners like aspartame, saccharin, and sucralose, all of which can be found in diet drinks as well as popular packaged sweeteners, contribute to metabolic syndrome through the way they interact with our digestive tracts’ microbiome. Our guts contain over 100 trillion microbial cells, which influence everything from our physiology to our metabolism to our immune system. Studies, such as one from last September, have found artificial sweeteners change the makeup of this diverse microbial system, which in turn quickens the development of metabolic syndrome. For the study, titled the San Antonio Longitudinal Study of Aging (SALSA), the researchers looked at diet soda consumption, waist circumference, height, and weight in 749 Americans who were aged 65 and older at the beginning, between 1992 and 1994. During three follow-ups, they took the same measurements, and compared results. They found that between each follow-up, waist circumferences among those who didn’t drink diet soda increased by only 0.77 centimeters, while it increased 3.04 centimeters among daily drinkers. Over the entire 9.4-year period of the study, that translated into an increase of 0.80 inches among nonusers and 3.16 inches among daily users. “The SALSA study shows that increasing diet soda intake was associated with escalating abdominal obesity, which may increase cardiometabolic risk in older adults,” lead author Sharon Fowler said in a press release. With heart disease being the leading cause of death in the U.S. and diabetes not far behind it, the findings show how crucial it is to look out for personal health, especially as we age. Part of that may involve quitting the diet drinks. Source: Fowler S, Williams K, Hazuda H. Diet Soda Intake Is Associated with Long-Term Increases in Waist Circumference in a Biethnic Cohort of Older Adults: The San Antonio Longitudinal Study of Aging. Journal of the American Geriatrics Society. 2015.